GW to run new hospital in Southeast D.C.
GW Hospital will run a new hospital in Southeast D.C.
GW Hospital will run a new facility east of the Anacostia River. 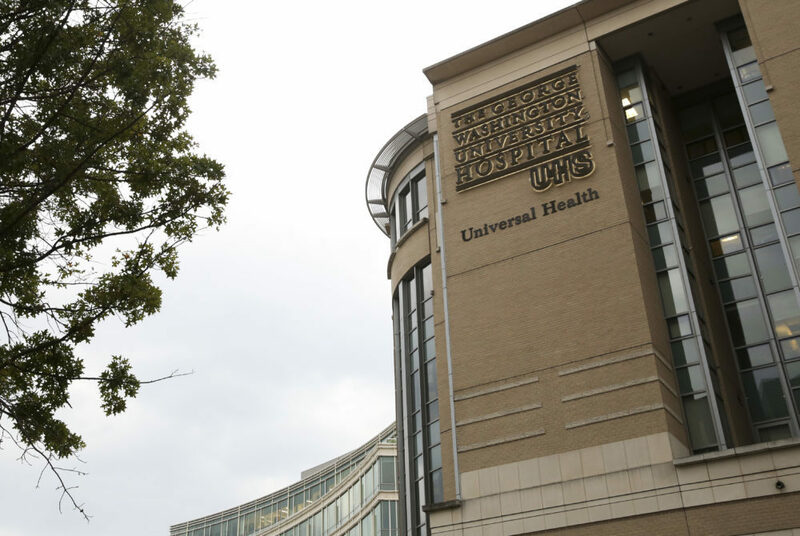 The University will partner with D.C. to head the operations of a new hospital for Wards 7 and 8 on the St. Elizabeths East campus, Mayor Muriel Bowser announced Friday. The hospital will be managed and operated by GW Hospital through an advisory board appointed by GW Hospital officials. The new hospital will host doctors and other medical professionals from GW Hospital and Medical Faculty Associates, an independent physician group made up of faculty in the School of Medicine and Health Sciences. Slated to open in 2023, the new hospital will have a capacity of about 100 beds, nearly half the number the previous hospital, United Medical Center, could host. The center will offer urgent care, outpatient surgery, diagnostic imaging and physicians offices. The hospital is one piece of a development project on the 183-acre St. Elizabeths East campus, which sits adjacent to the Congress Heights Metro station. Other developments planned for the space include a 4,200 seat sports arena for area professional basketball teams, concerts, retail shops and an emergency housing facility. D.C. has allocated $300 million for construction of the new hospital and GW will contribute at least $75 million over 10 years. GW Hospital will be responsible for financing operating costs once the center opens, according to the letter of intent signed by the two parties Friday. “Together, we’re going to take a 20th century health care system and transform it into a 21st century fully integrated system that is responsive to the needs of Washingtonians,” Bowser said in the release. The terms of the agreement will be negotiated over the next several months before they are sent to the D.C. Council for approval by December. A GW Hospital spokeswoman did not return a request for comment. Kimberly Russo, the hospital’s CEO and managing director, said in an interview with The Washington Post that the new hospital will cater to the needs of a community that experiences the District’s highest infant mortality rate by providing obstetric and nursery services – one of a few ways the new hospital is equipped for the population it will serve. “There’s going to be an appropriately sized hospital with the right lines of services to meet the community’s needs,” Russo told The Post. Russo added that GW Hospital’s main campus, doctors and services will be available to patients at the new hospital. The hospital will be the first to open in D.C. since GW Hospital moved to its current location in 2002.